Why Choose a Chiropractor? Learn the Reasons Why. We know from science that the brain controls everything in our bodies. It tells our hearts to beat, our lungs to breathe, and all of our muscles to move and it does so without us even having to think about it. The brain communicates through the spinal cord and out to every single organ, tissue, and muscle in the body. When one or more of our spinal bones (called vertebrae) moves out of alignment, it can put pressure on the nerve. That pressure prevents normal communication from happening between the brain and the body, and that’s when disease and dysfunction can occur. 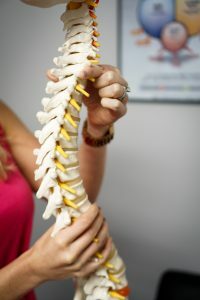 In our office, we utilize the latest state-of-the-art technology to assess your nervous system so that we may deliver specific, scientific chiropractic corrective care. 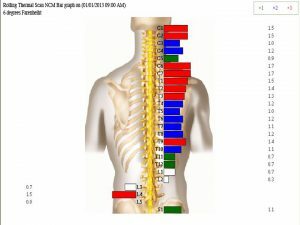 Our Insight Technology is NASA-Published and Space-Certified and our techniques used are the most well researched techniques in chiropractic today. We combined evidence-based practices with experience to give you the most specific and scientific care possible. We look forward to serving you and your family! Our first goal is RELIEVE you from your pain to help you enjoy more of life. 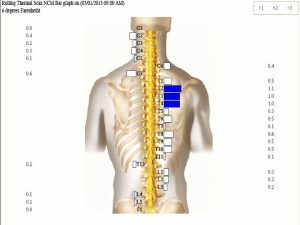 Here we begin to RESTORE proper structure and nervous system functioning. The most crucial phase where we move past survival and into the REVIVAL.